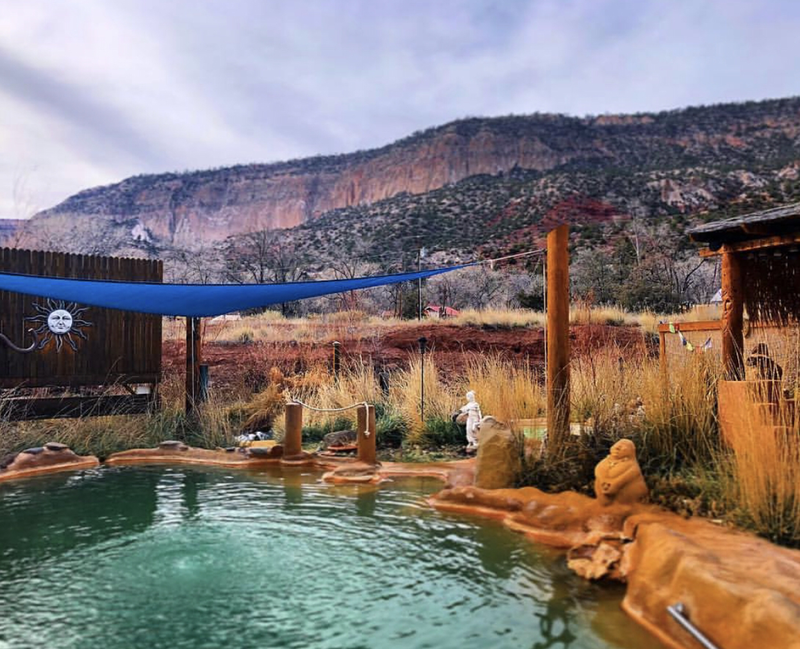 General Description: Jemez Hot Springs Home of the Giggling Springs is a beautiful commercial geothermal resort in the Jemez Mountains of New Mexico. 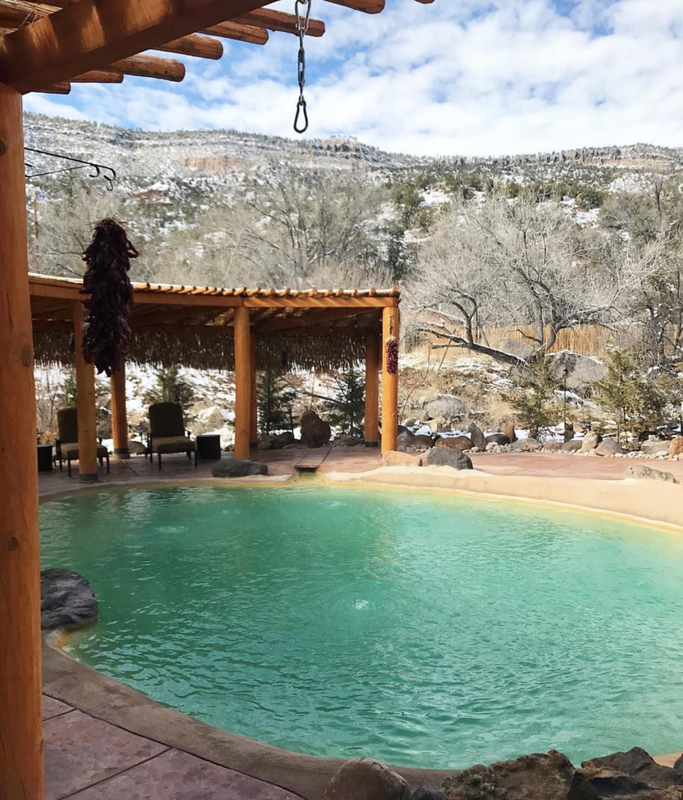 Jemez Hot Springs boasts four outdoor pools with access to the Jemez River. Accessibility: Jemez Hot Springs Home of the Giggling Springs is very accessible. You drive up to the hot springs resort. It is an easy walk around the property. This hot springs is handicap accessible. Hot Spring Tips: Jemez Hot Springs is day use only. Clothing is not optional. This resort is not pet friendly. Children under 14 are not permitted to the resort. This area of New Mexico offers many hot springs. Youtube Video on Jemez Hot Springs Home of the Giggling Springs is below.